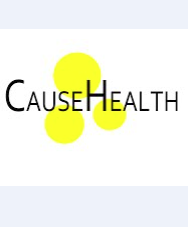 CauseHealth takes on the challenges related to causal complexity, individual variations and external validity in health sciences. Guidelines, for various reasons, are often used more rigidly in clinical settings than the developers intended. But one size does not fit all. Evidence from the patient context can be more causally relevant in deciding treatment than what has been shown to work at the group level. This conference brings together practitioners, guidelines networks and philosophers of science to address the general problem of how to put the tools of philosophy to use in improving the development and implementation of healthcare guidelines. In particular, how do we reconcile the purpose of guidelines with the needs of the clinic? There is a growing movement towards the particular (e.g. person centred approaches, individualised treatments, incorporating patient narratives and clinical judgement), while guidelines must be general (e.g. providing evidence-based advice and methods for clinical decision-making). We aim to reach a wide, interdisciplinary audience of medical researchers, practitioners, guideline developers, philosophers of medicine, communicators and patients. – important background considerations for clinical use of guidelines. Anna Luisa Kirkengen, From Wholes to Fragments to Wholes — Is Something Lost in Translation? 9:00-10:00 Nancy Cartwright, What Evidence Should Guidelines Take Note Of? 10:15-11:15 Session 5: Challenges in Practice II – Where do the Values Come in? 2:45-3:45 Session 8: The Guidelines Challenge II – What’s in a Guideline?